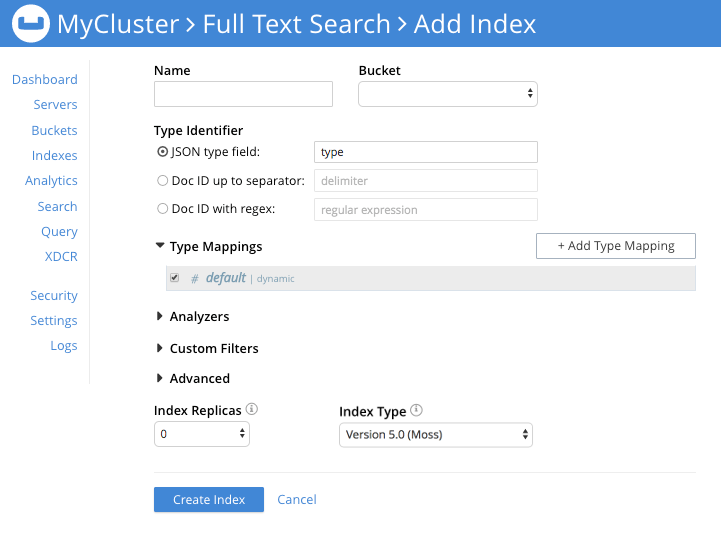 Full Text Search can be performed from the Couchbase Web Console. 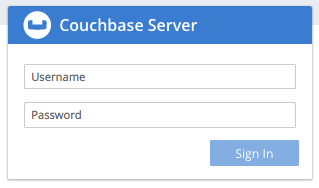 The user interface for Full Text Search is provided by the Couchbase Web Console. In order to proceed, you must have permission to log into the console, create indexes, and perform searches. For information on Role-Based Access Control, see Authorization. 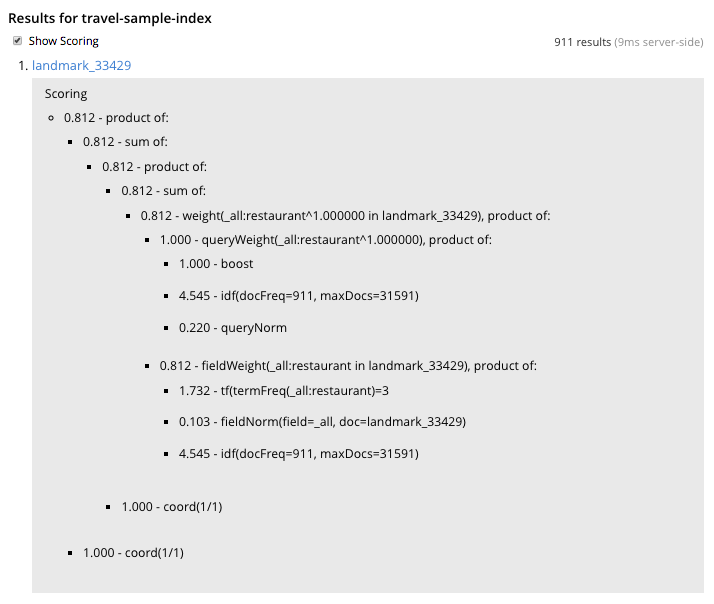 The example provided in this section assumes that you have also loaded the travel-sample bucket: you will perform your Full Text Search operations on the data in this bucket. For instructions on how to load this sample bucket, see Sample Buckets. The console contains areas for the display of indexes and aliases: but both are empty, since none has yet been created. This is all you need to specify, in order to create a basic index for test and development. No further configuration is required. Note, however, that such default indexing is not recommended for production environments, since it creates indexes that may be unnecessarily large, and therefore insufficiently performant. To review the wide range of available options for creating indexes appropriate for production environments, see Creating Indexes. Note the percentage figure: this appears under the indexing progress column, and is incremented in correspondence with the build-progress of the index. When 100% is reached, the build is complete, and the index ready for use. 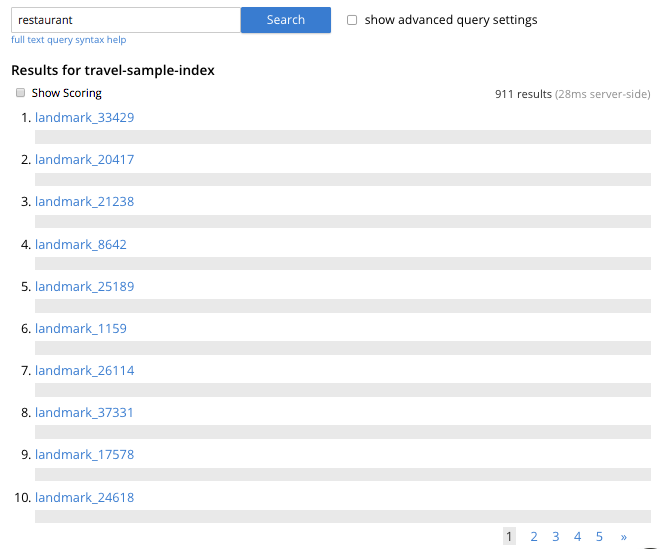 Once the the new index has been built, it supports Full Text Searches performed by all available means: the Console UI, the Couchbase REST API, and the Couchbase SDK. By left-clicking on any of the displayed document IDs, you bring up a display that features the entire contents of the document. This link takes the user to a page of information on Query String Full Text Search queries. 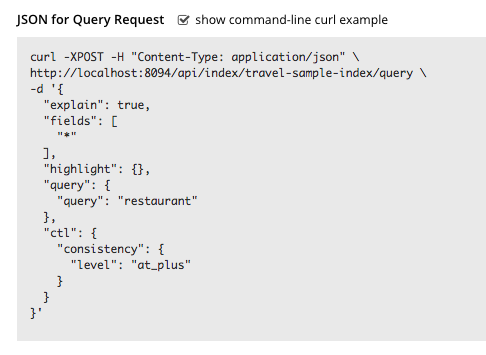 Such queries can be specified in the Search interactive text-field, thereby allowing searches of considerable complexity to be accomplished within the Couchbase Web Console. 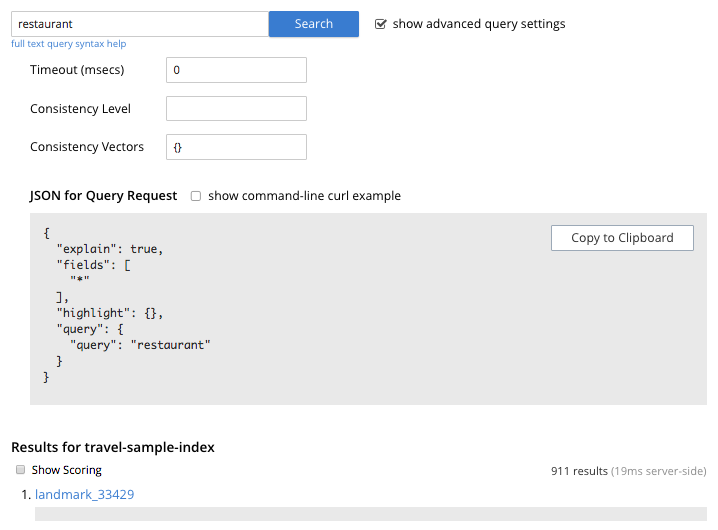 Additional information on Query String searches is also provided in Query Types.